One of the most professional gestures you can make when a visiting parent walks into your center is to look right at her and extend your hand inviting her to shake yours. However, there are two kinds of handshakes. One is what I call “the firm”. The other, much less desirable handshake, is what I call, “the fish”. The firm handshake means you insert your right hand directly between the thumb and forefinger of your prospect’s right hand and grasp her hand firmly. You squeeze gently and shake slightly up and down once or twice. Then let go. Do not squeeze so tightly that you give her what I refer to as “the jewelry crunch” handshake. That is when you squeeze so hard, you make the skin around her rings bruise or bleed. In contrast, the fish handshake is a meager attempt to barely touch your fingers into the grip of your prospect. Your hand is limp and may even feel clammy to the prospect. Yuck! This is neither inviting nor effective in communicating the marketing message you want to deliver. If this is how you shake hands, practice using the firm handshake until you can confidently deliver it. What does a good firm handshake say about you? It says you are a professional. 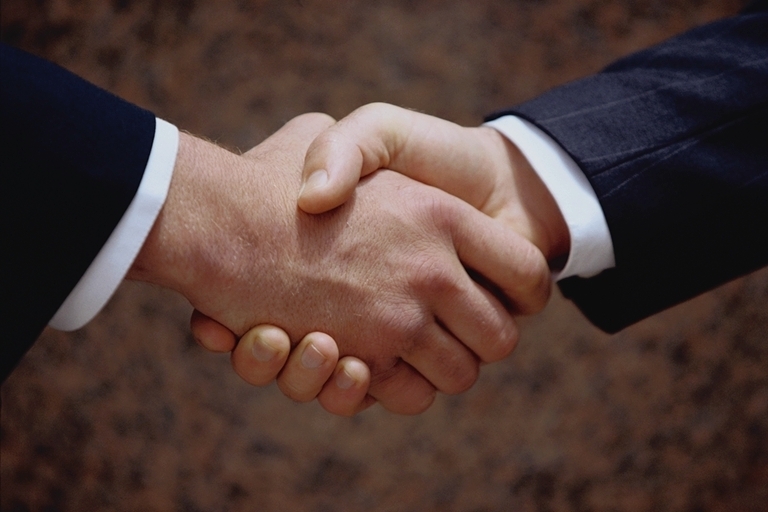 A handshake is a well-accepted and expected form of greeting in business situations. It allows for appropriate touch – a sensory interaction that speaks to your warmth and yet your serious intent to address her child care needs and desires. When coupled with good eye contact, a good handshake communicates a message that confirms the words you are saying to welcome your prospect to your center. Most women and nearly all men will respond to your extending your right hand by taking it and shaking hands. If you get the occasional person who is uncomfortable shaking hands, simply move your extended hand horizontally to the right toward a bulletin board or display, while simultaneously saying something, such as, “First of all, I would like to show you the book where we have all parents sign their children in and out each day.” You will then avoid an embarrassing situation for you and help the hesitant parent save face. Practice using the firm handshake in all your interactions with prospects and customers, and train your other center managers and staff to do the same. Good execution of this one little gesture will communicate volumes of good messages about you, your team, and your center.